This tour really brings you all aspects of Portland. The "4T" stands for train, trail, tram, and trolley. 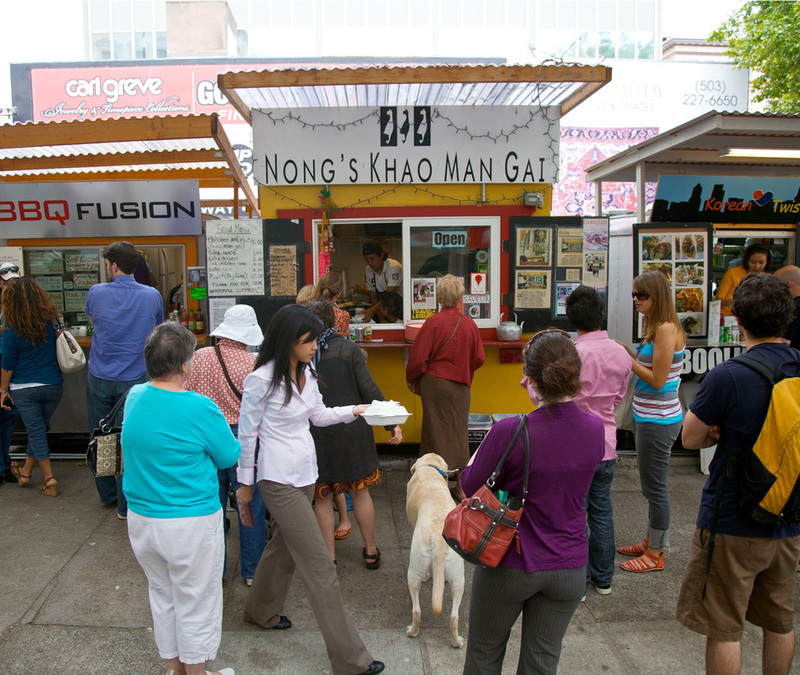 Each of those is integrated into this unique tour. We'll meet at Pioneer Courthouse Square next to the "Umbrella Man" Statue. 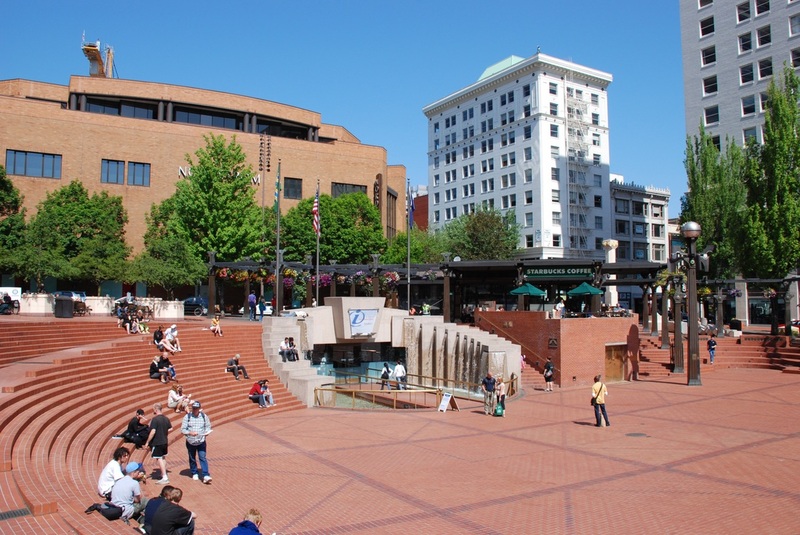 After a quick group introduction we will then share the highlights of Portland's living room there at Pioneer Courthouse Square. The Max train will be our first of the 4 T's and we will ride it all the way to Washington Park. Everyone will receive a Tri-Met day pass for the transportation we will be using on the tour (this pass can be kept after the tour and used through out that day). 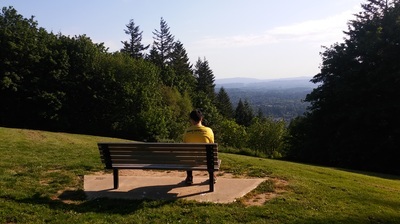 Washington Park is where the second T standing for trail begins and winds through the West hills of Portland. Our first stretch of trail will be in a wooded forest that will take up 1.3 miles up to Council Crest. We will enjoy the views of the city from Council Crest and rest our legs for a moment. 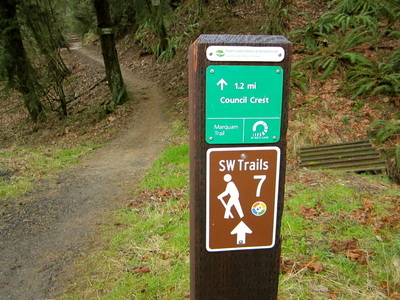 Then back to the trail that connects both nature and city. 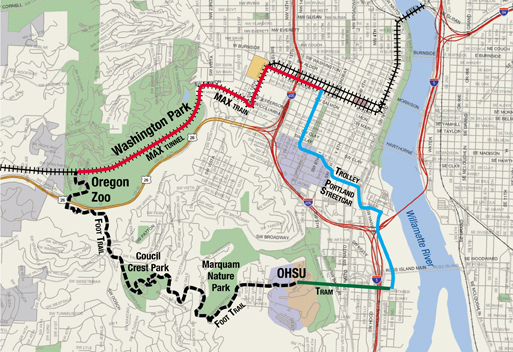 This 2.2 mile stretch will be an enjoyable hike as we see how well Portland at built it's city into nature. 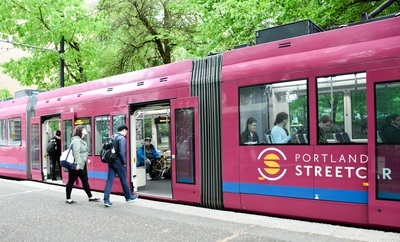 We'll reach the third T at OHSU which is the aerial Tram. Our legs will be happy to have a brief rest as we view the city skyline from the tram landing. 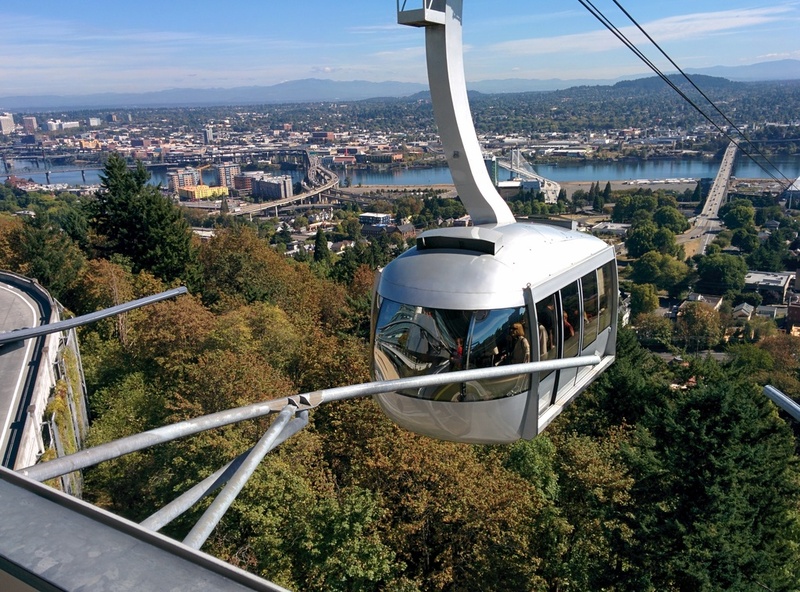 The ride down is only 4 minutes but it will offer some of the best views in Portland. 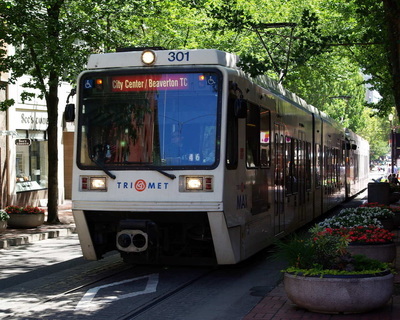 Our fourth and final T will be the street trolley that will be waiting for us next to the aerial tram. Depending on the time of year the tour could include a stop at the PSU farmer's market, truly a sensation for all senses. 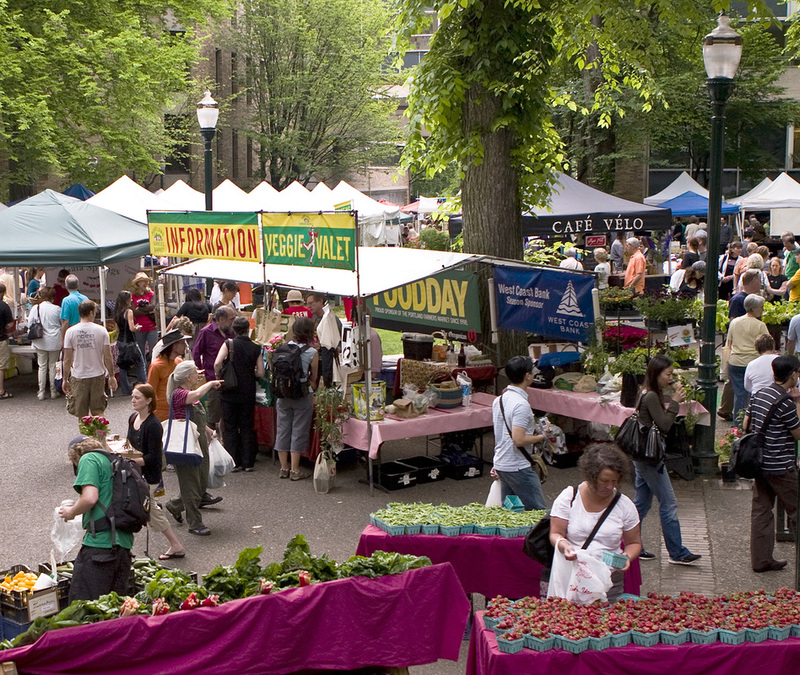 We will then walk through the city park blocks as we work our way to one of Portland famous food carts! After some tasty treats at the food carts our tour will conclude where it began at Pioneer Courthouse Square.